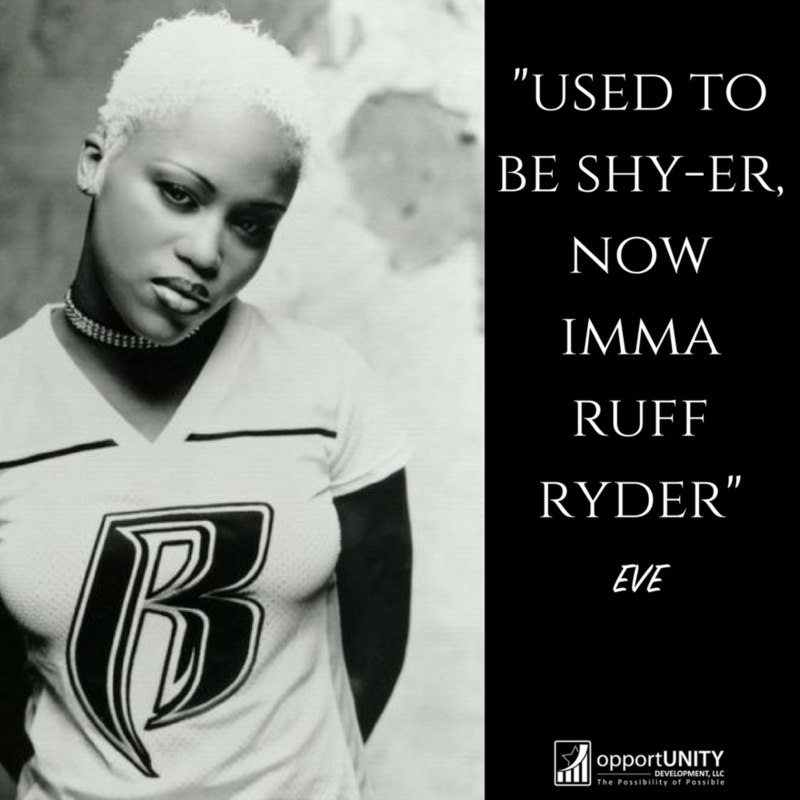 opportUNITY Development, LLC - "Used to Be Shy-er..."
While listening to some "ol' skool" hip hop this past week, this line by Eve jumped out at me because I used to be shy. As a matter of fact, I still consider myself shy. I'm not the guy who has to be at the center of attention. Nor do I go up to everybody at the party to find out who they are. But it's not the first half of the line that intrigued me; it was the second half. Eve says "now Imma Ruff Ryder" and I consider myself a Ruff Ryder when it comes to business. My family doesn't eat if I stand up against the wall and observe. If you catch me at a networking event or some other place where I can meet people that could be mutually beneficial in business, "Imma Ruff Ryder"! There is no holds barred when it comes to business! I'll go up and introduce myself, genuinely get to know you and exchange contact information. I never know who I may meet nor when the opportunity may present itself for us to help each other. So don't be shy! Newer PostMy Review of "Car Dogs"